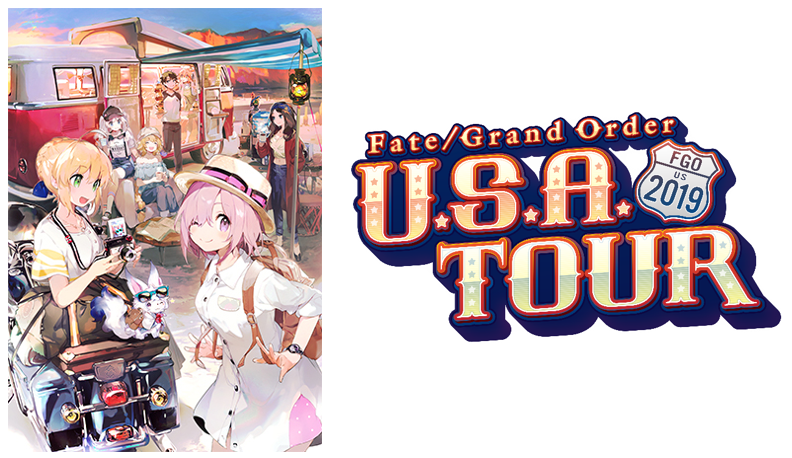 Fate/Grand Order U.S.A. Tour 2019 Kicks Off This FebruaryWith a stop at Anime Central this year! Fate fans have a big celebration to look forward to this year. TYPE-MOON, Aniplex of America, and Delight Works, Inc. have teamed up for Fate/Grand Order U.S.A. Tour 2019, which kicks off with a two-day event in Los Angeles this February. It all starts on February 23 at the California Market Center, with the first night scheduled to run from 6:00pm to 9:00pm. The fun continues the following day from 10:00am to 6:00pm. Tickets go on sale on January 16 at 10:00am Pacific Time, priced at $20 for February 23 and $30 for February 24. You can also get tickets for both days for $45. Some of the attractions include photo-op areas, a Challenge Quest Battle Zone, and a Kigurumi Greeting Stage, which gives fans the opportunity to see the female protagonist and more from Learning with Manga. There’s also a Noble Phantasm Exhibit featuring life-size weapons, a huge monument, and other features on the way. Guests set to appear as part of a special main stage panel at the Los Angeles event are Kana Ueda (voice of Ishtar), Satoshi Tsuruoka (voice of Arash, Gilles de Rais, Caligula, and Spartacus), and FGO PROJECT creative producer Yosuke Shiokawa. Exclusive tour merchandise and other products will also be available for purchase.